Well, they might. But people would be a lot more inclined to visit your blog if you give them what they want: Video content. In fact, 90% of consumers use video content to inform their purchasing decisions. Consider the following statistics from the referenced article and industry report. As content creators and freelance writers, it’s time to give your audience what they’re after. Video isn’t the future — it’s the present. And if you aren’t including video within your own site content or providing script writing, video content or audio recordings to your audience and clients, you may quickly find yourself falling behind. 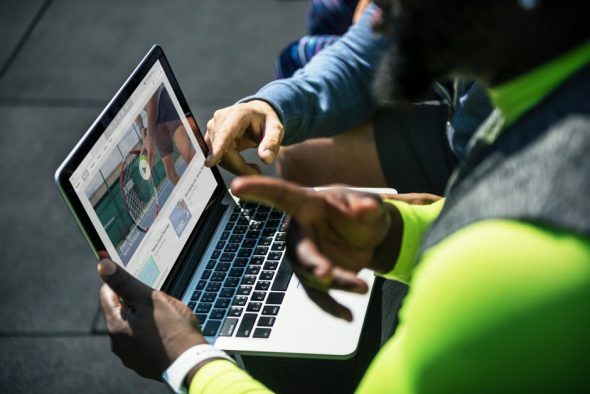 Here are a few reasons why video content could be the reinvigorating factor that your blog and freelancing business needs. Admittedly, investing in video blog content can seem intimidating, especially if you’re unsure of how to make a video. As a result, you may feel that it’s better to stick with what you know best. And sure, we can appreciate that chain of logic. But the numbers don’t lie, your audience already watches several hours of video content per day. What’s more, those numbers are only expected to increase. In fact, experts believe that by 2021, video content will make up 82% of all Internet traffic. Simply put, refusing to invest in a video strategy is only going to hurt your brand in the long run. Furthermore, every company is going to need more video content soon, so learning how to write, produce, and edit content can help your chances of landing more freelance gigs. The fun thing about blogging is that it allows you to form bonds with your audience using your own voice. You get to be you! Vlogging is another wonderful opportunity to form and reinforce that bond between you as a content creator and your audience. It’s one thing to write to your audience, but now that they can see you, your content will resonate stronger than ever. Even if you’re following your passion and writing about what you love, creating post after post can get stale after a while. Switching things up every now and again is a great way to refresh your content library. Aside from diversifying your stream of content, creating video content allows you to think in new and exciting ways, ultimately bettering your skills as a blogger. This is something we are commonly seeing on YouTube, as more bloggers and content creators are turning into vloggers. Take a look at any of the most subscribed to channels on YouTube and you will see that many of them are just one-person operations who are creating video and getting a lot better with it over time. For freelancers who are looking to add this type of content creation to their services offered, don’t think that you actually need to get on camera and be a perfect speaker. There are many other ways to get around this, such as outsource content or using online video editors and creation tools. A lot of people believe that video production has to look like a major Hollywood blockbuster. On the contrary, creating a video blog is something you can do for a low-cost or even for free. As we just mentioned, all you need is a camera, a free video creator, and some time. Really, that’s it! Just turn on your camera and start vlogging to your audience, edit your great new content, then publish and watch the views come pouring in. Unless you plan on focusing solely on video content, there’s no need to invest in expensive content at all. You’re your greatest asset. We’ve only covered just a handful of useful resources and tools for making online video creation a whole lot easier. The most important thing for you to do right now, is to start thinking about how you can use more video on your sites, or sell the video creation service to brands around the world. Once you’ve implemented video content into your blog, you’ll be wondering why you didn’t do so sooner. 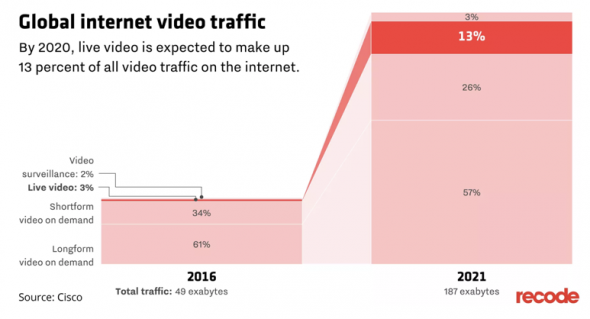 And remember, video content is only going to become more in-demand within the next several years. Investing early is a surefire way to make sure your blog remains relevant.Looking for more tips to help you establish your freelancing career? For more content ideas and writing tips like the ones mentioned above, be sure to check out the tips archive for more content that’ll improve your skills and marketability.